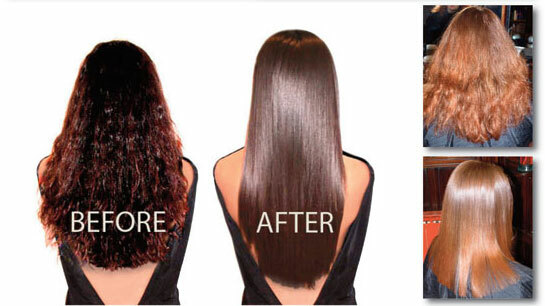 Brazilian hair straightening treatments eliminate frizz, straighten the hair and last about three months. They cost about $150–$600 depending on the hair length. These keratin-based treatments are performed on all types of chemically-treated (bleached, hi-lights, coloured, permed, relaxed or previously straightened) and virgin hair. The technique of the application is similar to the Japanese Yuko System in the way that heated flat irons are used to close the product into the hair cuticle.